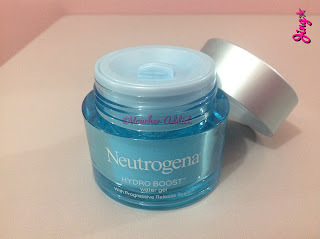 A couple of months ago, I was determined to get a new moisturizer just to try something new. 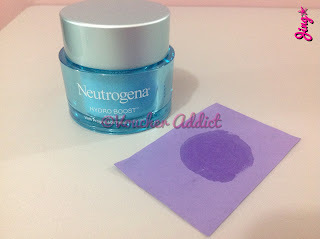 In comes Neutrogena Hydro Boost water gel. I have to admit, I just started patronizing a couple of Neutrogena products a year ago starting with the Deep Clean facial cleanser followed by their Fine Fairness BB Cream and both of them proved to be effective based on experience. This comes in a 50g light blue jar with a twist-off cap. Inside is a reusable plastic lid which prevents the product from seeping through the inner portion of the cap. 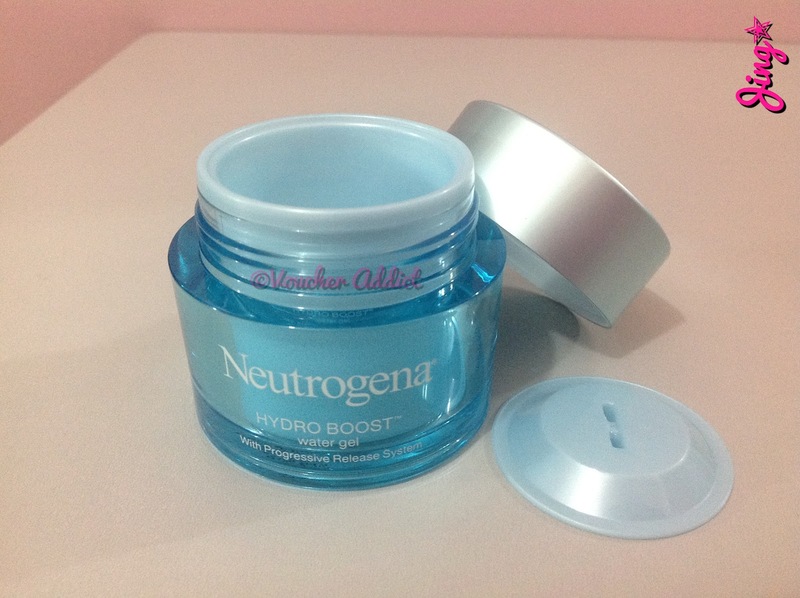 Overall, I like the way it looks except for the plastic lid that comes off freely if opened carelessly. A fitted inner lid would've been better. 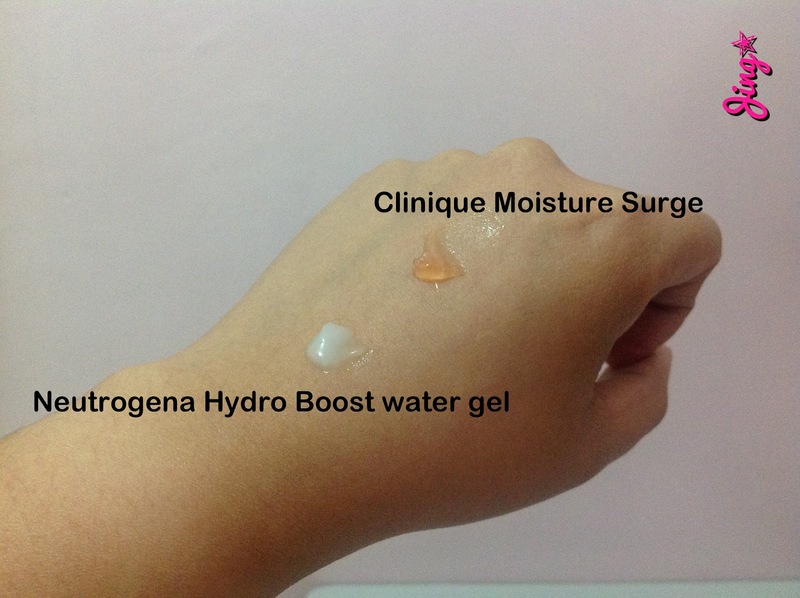 The water gel is translucent and has a fresh scent. The consistency is nothing I've ever seen before in a moisturizer. It's fluid like and more runny compared to Clinique moisture surge. 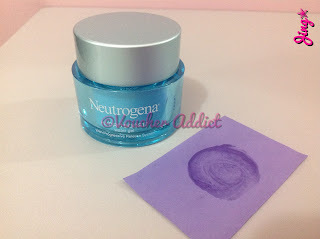 It only takes a little amount to cover your entire face because it spreads effortlessly on application. 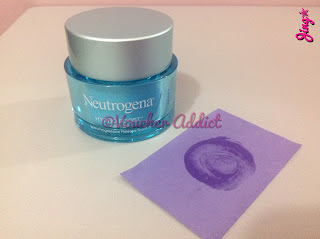 It easily settels on your skin and gets absorbed almost instantly that you don't have to wait long before applying your makeup. Above is a demonstration using an oil control film. Notice how Neutrogena leaves a minimal amount of oil over time resulting in freshly hydrated skin without the sticky feeling. I've been using this product twice a day for a couple of months now. Though I haven't seen any dramatic changes on my combination skin, it didn't cause pimple break outs, skin irritation or other adverse skin reactions. What I do love about it is that I can proceed to applying makeup almost instantly after using it. 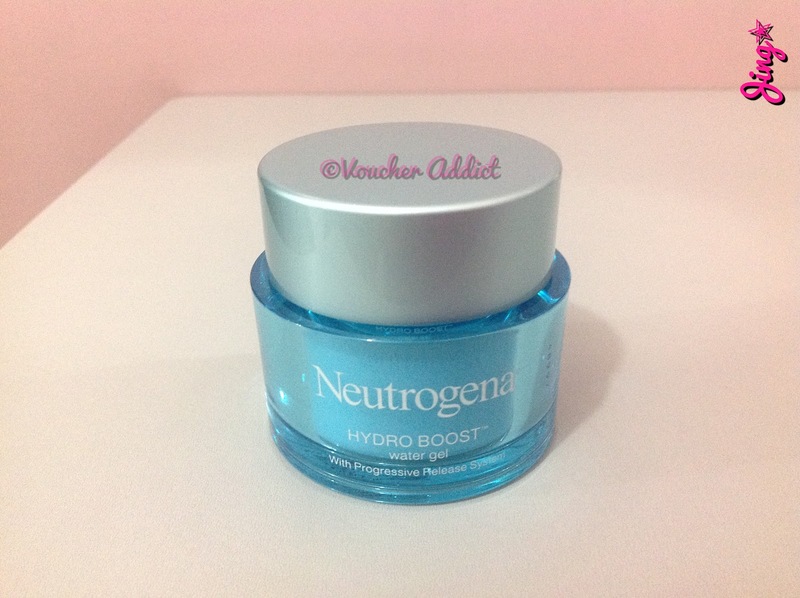 I would recommend this to all skin types but I'd rather buy their newly released Hydro Boost Gel with SPF30 once this jar is consumed. I bought this from Watson's SM North Edsa at Php 830, quite a hefty tag for a drug store brand. All products mentioned in this entry are personal preferences and purchases and are not intended for advertisement.